We have a huge range of colour options and alternatives to our standard wedding postboxes. Use the buttons below to filter the different colour and style options to find your perfect postbox for your Wedding! Whether you want it delivered to your venue or you’d like to collect from us we can sort your Wedding postbox hire for you. We have more coloured postboxes than anyone else in the area so take a look for the one to match your Wedding colour theme. Hi Paul, Thankyou so much for the hire of the amazing postbox. it looked lovely on our gift table. 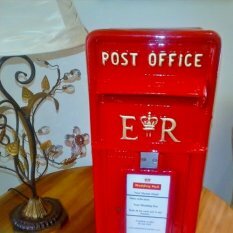 Want to hire a Postbox for your wedding?